Pigeon on the Wing - Chapter 1 - Judgment Day - counterjihadwarrior.com - Because Islam will NEVER EVER be a Religion of Peace - rather a barbaric, totalitarian cult, based on fear, violence, intimidation & terror. 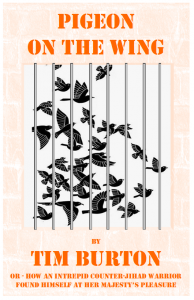 Foreword: All chapters of Pigeon on the Wing published on this website are in draft form only. The final version may include grammatical, syntax and content changes, as well as sidebars and illustrations to maintain a level of interest and to stop readers’ eyes from glazing over. All comments and / or criticisms of content or writing style would be most welcome. Masterpieces like this don’t just write themselves, you know. Seriously, though – this is your book just as much as it is mine. I couldn’t have even begun to write it without all of your help and support. Thank you so much for everything you have done for me, and I hope you enjoy reading the book as much as I have enjoyed writing it. The words hung in the air like a malevolent mist on a winter’s day. I looked up from my reverie – I had been contemplating my journey home from the cold, unforgiving atmosphere of the Sentencing Hearing at Courtroom 4 of the Inner London Crown Court later that morning, and in my mind I was halfway between London and my Birmingham home, relaxing with my feet up on a Virgin Inter-City train, enjoying (if such a word may be permitted under the circumstances) one of British Rail’s most refined and delicate cheese and onion sandwiches, washed down with one of their celebrated Earl Grey teas, albeit served up in a nondescript white polystyrene cup. I frowned slightly. Surely I had misheard the judge – His Honour (who shall remain nameless for the purpose of my story, although a diligent researcher might easily uncover his identity), was, after all, renowned throughout the land as a most fair-minded example of the new liberal judiciary – a far cry from the notorious Hanging Judge Jeffreys of 17th century Dorset, or so I had been told, and most unlikely to submit to the crushing political correctness which was reported to be so pervasive in the British legal system in the 21st century. There was no way he would sentence a 64-year-old man with a previously clean record and a serious heart condition to prison, merely for sending a well-deserved handful of jocular, non-threatening emails to a pompous, arrogant, mendacious, grievance-mongering member of the British Establishment. Perhaps I had indeed misheard. In front of me, in the well of the court, bewigged and cloaked in black silk gowns, and with all the self-important airs that one comes to associate with such members of the legal profession, were the prosecution lawyer and the defence lawyer, together with the Clerk of the Court and several other court functionaries. I myself was in the dock, behind a series of overlapping sheets of armour-plated glass – they don’t leave anything to chance in a Crown Court, I can tell you – and I was accompanied by a bored-looking Dock Officer dressed in a crumpled and down-at-heel uniform, sitting at a wooden table on the right-hand side of the dock. Every now and again he would look up from his half-completed Sun newspaper crossword to take a cursory interest in the proceedings. He seemed friendly enough, having offered me a biscuit and a glass of water at the start of the sentencing hearing, but I wasn’t about to engage him in conversation, as by now I was listening intently to the words of the judge as I began to realise that perhaps I wasn’t going home later that morning after all. Eighty pounds? Eighty POUNDS? What a cheek, I thought. Talk about adding insult to injury. And a “victim surcharge”? There hadn’t even been a victim; merely a mendacious grievance-monger milking the situation for all that it was worth. This particular grievance-monger (about whom I will have more to say later) had sought to paint himself as a model of rectitude and pillar of the community, cruelly maligned, distressed, alarmed, and unfairly harassed by a bigoted, racist, far-right extremist, good-for-nothing “Islamophobe” (that would be me, apparently) – and the Court had swallowed his version of events hook, line and sinker. I realised that the time had come and gone for me to bribe the Dock Officer to let me escape from the court dressed as a washerwoman in the manner of Toad from Toad Hall, so I rose from my chair with as much dignity as I could muster and stoically resigned myself to my fate. I picked up my rucksack from the chair next to where I had been sitting, and made my way through the door on the right, down the thirty or forty concrete steps to the labyrinth underneath the court. Behind me, I could hear the Dock Officer locking the door with an air of finality, as I stepped off the bottom stair and into a brightly lit corridor stretching for at least fifty yards in each direction. Two burly, uniformed male prison officers were there to greet me. “Well, well, what have we here?” said the first prison officer. He was a tall, well-built man in his forties, swarthy and dark-haired, and surprisingly genial in his manner. His words echoed off the walls of the corridor like those of an overly enthusiastic demon receptionist welcoming a newcomer to Hades. It has to be said that I wasn’t really sure exactly what to expect at this point, perhaps a water-boarding session or a stretch on a medieval rack followed by the attachment of some electrical jump leads to the more sensitive parts of my anatomy, but his words alleviated my fears, at least to the extent that I could feel a sense of calm starting to descend upon me. It’s an odd thing, but at times of extreme stress I sometimes find that I am almost able to detach myself from my body and view the situation as a dispassionate observer. It’s difficult to say where this ability came from – I certainly don’t remember being able to call on it when I was a child – but I don’t think it would be unreasonable to put this down to my training in martial arts and meditation over the last thirty years. The Japanese call this sensation “no-mind” and with extensive practice it allows one to accept what is inevitable and to make the most of one’s situation, without wasting mental energy on ineffective strategies such as panic and anxiety. The second prison officer examined his clipboard. “Timothy Burton? Not Tim Burton the famous film director? What’s a toff like you doing here?” He was younger than the first man, with wispy hair, a light complexion and accompanied by a disposition that was at least as equally genial as his colleague. Hearing his words, I was rather taken aback. I checked myself to see whether, perhaps in a fit of absent-mindedness while getting dressed that morning, I had clothed myself in some accoutrements that would have justified such a description, perhaps a top hat, or a monocle, white spats and a mahogany cane, but no, I was simply dressed in my blue suit, dark shoes and matching tie which I had donned for the occasion in a gesture of respect for the Court. (I was surprised to find out later that many defendants turned up for court somewhat less well-turned-out, if not downright scruffy and unkempt. Call me old-fashioned, but I can’t help but feel that such an approach to sartorial matters would minimise their chances of a favourable outcome. The first prison officer indicated that I should stretch my arms out so that I could be thoroughly searched, patted down and screened with a metal-detecting wand, which emitted an unnerving screech as it hovered over my jacket pocket. Busted! I thought, as I was relieved of my house keys, nail clippers, wallet, and mobile phone, which were placed in a large polythene bag which had (ominously) already been labelled with my name. That was odd, I thought. It was almost if they had been expecting me for the past few days. The second prison officer spoke again. “Follow me and we’ll get you processed.” He turned and led the way down the corridor to a room on the left, where a petite blonde woman sat at a desk with a computer, intently tapping away on the keyboard as if her life depended on it. “It’s Burton, miss.” He motioned to me that I should relinquish my rucksack. I sat down at the side of the desk as he started to unpack all my worldly possessions, or at least those I had brought with me that morning. Not that I had brought a great deal, anticipating as I had that I would by now be on my way home, but all the same, it was an odd feeling to see my rucksack being pulled apart in such a way by the hands of a stranger. “Don’t worry, we’ll keep this safe for you,” he said. “Although we’ll have to confiscate these food items.” He pulled out a couple of chocolate bars (that I had kept in my rucksack in case of an emergency) and placed them on a shelf, no doubt in order to subject them to a detailed forensic examination later. The petite blonde woman studied the computer screen and then turned to me. “You’ll be going to Thameside, Mr Burton. Don’t worry, it’s an OK nick. And you’ve been given twelve weeks, which means you’ll be out in six.” She made it sound like a walk in the park. “I’ll need to confirm a few details,” she continued, and proceeded to question me about every aspect of my existence since I was about five years old. Was I allergic to anything? (No, unless you count my sporadic outbreaks of hay fever). Did I have an alcohol or drugs dependency? (No, unless you count my heart medications, on which I could be said to be rather dependent, on the grounds that if I didn’t take them every day then my forthcoming sojourn at Her Majesty’s pleasure might be unexpectedly curtailed, and not in a good way). Did I have any diagnosed mental illness? How about an undiagnosed mental illness? Was I a member of a particular religious affiliation? I fought back the urge to say that I was either a Satanist or a Jedi Knight – as I had sensed that this might not be the right time to reveal my religious affiliations. Being unfamiliar with the proper etiquette to be observed when in custody, I had no desire to draw undue attention to myself lest I be immediately consigned to a straitjacket. After this initial interrogation I was led to a holding cell. For those of you unaccustomed to the delights of the subterranean residences of the Inner London Crown Court, this was an enclosed space of about 12 feet by 12 feet with a concrete floor, a ceiling with a fluorescent light set into it under a vandal-proof cover, brick walls painted with a faded shade of duck egg blue, and a concrete bench along one wall. There were no windows. There was a sound of creaking hinges as the thick steel door slammed shut behind me, a series of clunks and clicks as the key turned in the lock, and for the first time since sentence had been passed earlier that morning, I was utterly alone. However, after around thirty minutes, the cell hatch snapped open and yet another cheerful face appeared. I swear that they must select prison officers for their cheerfulness. I suppose that the average prison officer must face the prospect of an awful lot of disgruntled convicts, a category that I was fast in danger of joining, insofar that I was now most definitely a convict and could be said to be in the initial stages of being somewhat disgruntled. An overweening abundance of cheerfulness could definitely be considered to be a huge asset for a prison officer under such circumstances. It has to be said that even if I was not completely disgruntled at this time, I was certainly a long way from being gruntled. “You want some lunch?” said Mr Cheerful. “Uh – yes please,” said I, not wanting to subject Mr Cheerful to too much trouble on my behalf. For all I knew, Mr Cheerful might hold the keys that would make a difference between a pleasant stay in the holding cells, or a one-way trip to the water-boarding suite complete with a set of electrically operated testicular agitation devices. “Yup. Although you can have two portions if you want.” Never having been one to look a gift horse in the mouth, I said “OK then – two portions would be great.” And to be fair, when it arrived in a micro-waved plastic dish, it was absolutely delicious. Not five-star Ritz hotel delicious maybe, but delicious enough for a starving, newly convicted reprobate like myself who has just seen his last chocolate bars for the next six weeks disappear in a metaphorical puff of smoke over the horizon. I was just starting to think that maybe they had forgotten about me and that I was destined to spend the next six weeks on a diet of truculent neighbours, lasagne and brick-counting, when there was the clunking of a key in the lock, the door opened and Mr Cheerful appeared again. Now, I can’t say that I was totally enamoured with my brief (defence lawyer). She had demonstrated remarkable incompetence during my trial, committing all sorts of cardinal errors that a barrister with 20 years experience should never have committed. (I later found out that the highlight of her career was defending the welfare of a bunch of scrofulous rabbits. (This is actually true, a factoid that I subsequently gleaned from the website of her Chambers in King’s Bench Walk). I don’t think she had prepared herself adequately for the defence of an actual human being, let alone a concerned patriot like myself. Prior to the trial, she hadn’t even read my defence notes properly, which had more than likely contributed to my current situation. Rest assured, dear reader, I will expand more on this later. “How are you doing?” she said as she walked into my cell, motioning to Mr Cheerful that he should wait outside. She sat down on the concrete bench next to me. I could smell her perfume, straight out of Coco Chanel’s Come Hither Bunny Lover range of fragrances. This, dear reader, as I was to find out, was a fiction. A fiction, a lie, no doubt designed to distract my attention from the discussion of her dismal performance in court during my trial. I dare say that she had encountered several such tricky situations in her legal career, if her unprofessional and slapdash approach to my personal circumstances was anything to go by. Oh, how easily are the newly convicted taken in by such falsehoods. Still, I felt I could do no more than to thank her for everything she had done, even though she was heading home to a life of comfort, luxury and presumably unrestricted no-holds-barred rabbit fondling, whilst I was to languish for the next six weeks in an environment that might hold no end of trials and tribulations. She exited the cell without a backward glance, and that was the last I saw of her. The cell door clicked shut behind her. Two hours later, the door of the holding cell was unlocked again – and I was on my way to HMP Thameside, which was to be my home for the next six weeks. Help to overturn an unjust conviction and strike a blow for justice. 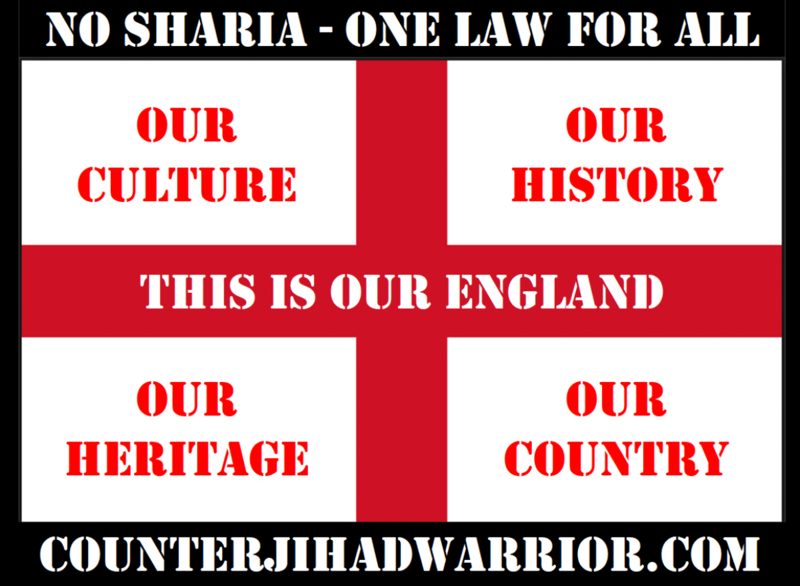 Previous Previous post: Is the incitement to violence inherent within Islam a breach of UK criminal law?